Starting a new life in Australia might not come with views of the Sydney Opera House or surfing at Sydney's Bondi Beach with the government considering a ban on some immigrants from settling in big cities. 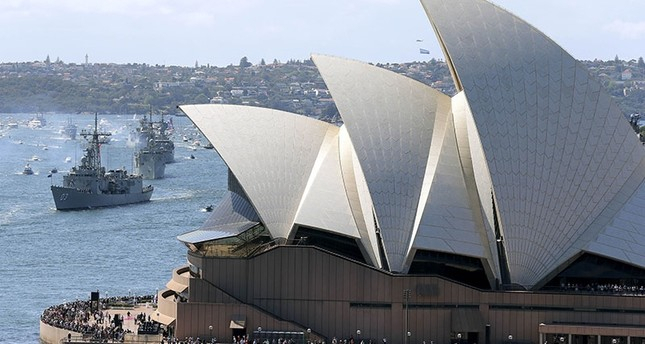 Minister for Cities, Urban Infrastructure and Population Alan Tudge said Tuesday that his government wants to cut the number of immigrants moving to Sydney and Melbourne in a bid to reduce congestion in Australia's two biggest cities. "Nearly every visa has conditions attached to it, so it wouldn't be unusual to have a geographic attachment to a particular visa," Tudge told Australian Broadcasting Corp.
Tudge said some categories of immigrants would be exempt from geographic blocks. Migrants who were sponsored by employers would be able to work where employers need them and those on family reunion visas, typically a foreigner marrying an Australia, would also be free to live where they chose. Sponsored employees make up 25 percent of Australia's immigrant intake and family reunion visas make up 30 percent. "People are voting with their feet, they want to be in cities and so I think the job for government is to ensure that cities work and that people can get around rather than to try to get people to go where they don't want to go," Terrill said.